Teaching Molarity and Concentration a Breeze is a With This In the Bag Inquiry Demonstration. In this In the Bag demonstration there are several activities that focus on concentration, moles, and related concepts with only a few bags and some specials chips. Once students have masters these skills, another simple activity that can be done in the classroom with these chips is setting lab stations up around the classroom and having students identify the concentration of the solution based on the size of the beaker and the mole chip that is in the beaker. Having different stations allows students to get repeated practice at identifying the concentration of a solution. 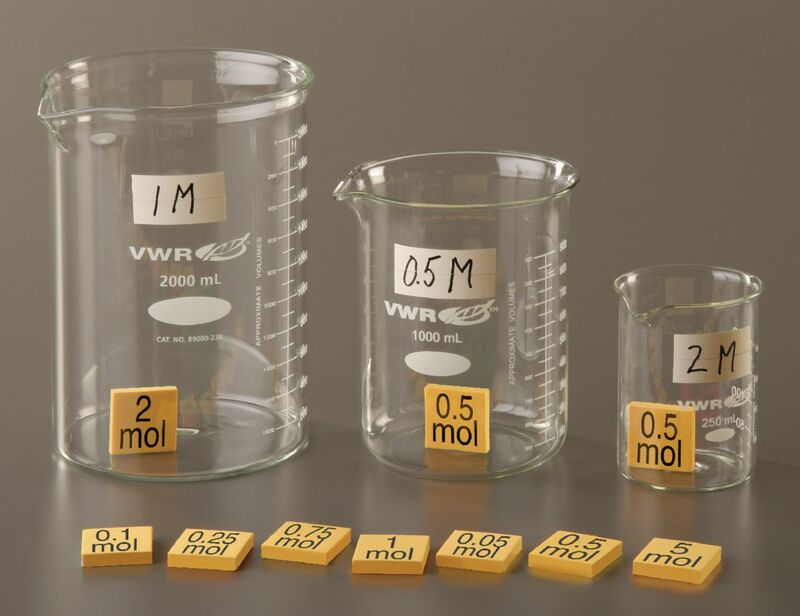 Another activity that can be done with these chips and few beakers is an activity revolving around dilutions. If one mole is in a 500 mL beaker, and this is diluted into a 1 L beaker, what is our new concentration? Ordering information: Includes Four sets of mole tokens (varying moles).